MEDINA, Ohio -- A 21-month-old girl whose decomposed body was found in her crib in an Ohio apartment is being mourned by hundreds of people who didn't know her but were moved by her story. The Medina County Gazette reports many of those attending a Sunday night vigil in honor of young Ember Warfel wore pink and white. They prayed, released balloons and signed sympathy cards for the family. Her father, Eric Warfel, 34, was ordered held on a $1 million bond on July 30 after being charged with abuse of a corpse. 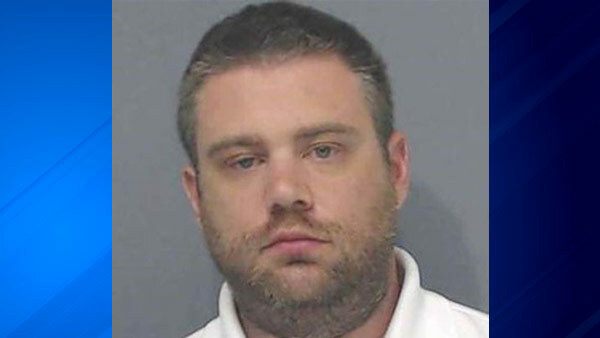 He was arrested after a cable television technician was allowed inside his apartment to upgrade the service and found the body of 21-month-old Ember Warfel in her crib. A magistrate in Medina read from a report at the bond hearing that said Warfel told police Ember died June 18 and he hadn't informed family members or anyone else about her death. The report said Warfel had put garbage in the girl's room to mask the smell and had moved into a motel with a 7-year-old daughter. Police found Warfel and the girl Wednesday at a shopping center in the Cleveland suburb of Westlake. An autopsy will be conducted to determine how Ember died. Additional charges are expected, police said. Medina police said Thursday that a substance suspected to be cocaine was found during a search of Warfel's hotel room. Warfel and his ex-wife, Malinali Galdamez, had another child who died. Five-month-old Erin Warfel died March 31, 2013, after being taken by paramedics to a hospital while in full cardiac arrest, according to an autopsy report. Her death was ruled as "sudden unexplained infant death." Warfel and Galdamez married Feb. 14, 2012. A divorce decree indicates the 7-year-old has the same last name as her mother. The girl was removed from Warfel and Galdamez's home before their divorce by the Cuyahoga County Department of Job and Family Services and moved in with Warfel's parents. Galdamez did not seek any parenting rights beyond limited visitations. There are numerous references in the divorce decree to her substance abuse problems. It was Galdamez's fifth marriage and Warfel's first. Medina Police Chief Patrick Berarducci said Galdamez lives somewhere in New York. Prosecutors asked for a high bond because they consider Warfel a flight risk. The magistrate said Warfel had previously discussed moving out of state. He told the magistrate Thursday that he last worked for an insurance company in 2012.